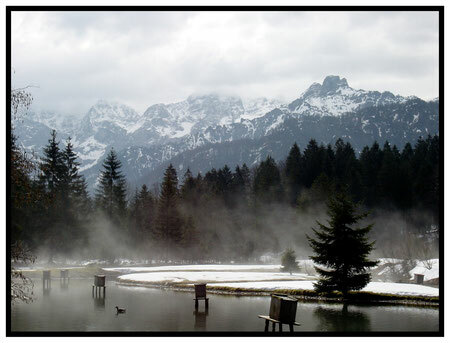 I am interested in cognitive mechanisms underlying cooperation in corvids. Several important cognitive prerequisites of reciprocity, e.g. 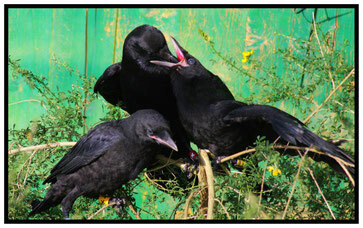 behavioural responses to inequity and delay of gratification, have been shown in carrion crows and common ravens. Individual performance in socio-cognitive tasks was correlated with involvement in affiliative and aggressive encounters. Carrion crows posses a flexible social system, for example they breed cooperatively in Northern Spain and in pairs in most other populations in Europe. 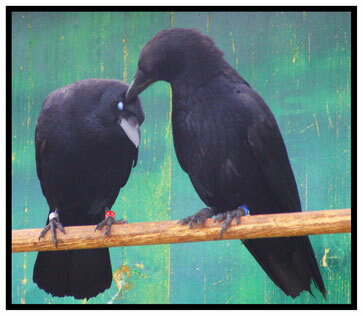 Preliminary results suggest cooperative breeding to have major implications on vocal communication, such as the individual call repertoire and frequency to call being higher in cooperatively breeding compared to non-cooperative breeding carrion crows. 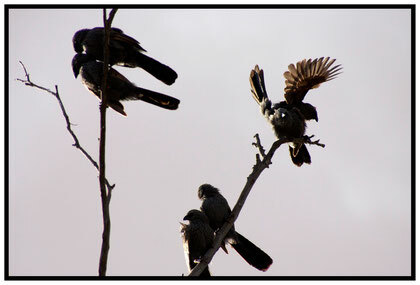 In a population of wild, cooperatively breeding carrion crows I am interested in the frequency of cooperative interactions, e.g. 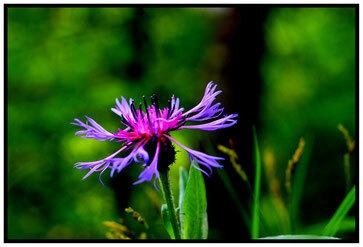 coalition formation, food sharing and identity of regular cooperation partners (e.g. 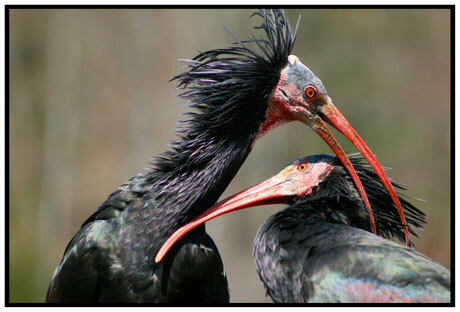 kin, reproductive pair). 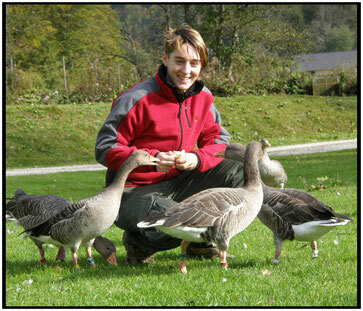 During my PhD I investigated heart rate modulation by social contexts in greylag geese. Besides physical activity, social interactions proved to be the strongest heart rate modulators. In agonistic encounters heart rate increased to a greater extend, when the risk of being defeated was higher (e.g. in interactions with an opponent who wins a higher percentage of interactions). The present results suggest that individuals modulate their heart rate very flexible according to the relevance of single agonistic encounters. Even more impressive, heart rate was not only modulated by active involvement in stressful events, but also by watching interactions (‘bystander effect’). Also here, the relevance of the event determined the immediate physiological response. Greylag geese responded stronger watching social (e.g. agonistic encounters, arriving or departing geese) than non-social events (e.g. vehicles passing by, thunder). Furthermore, heart rate response differed, depending on the individuals involved in an event. 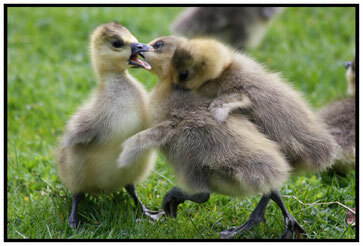 Geese responded stronger when watching interactions, in which the pair-partner or a family member was involved compared to events with non-associated individuals. A similar picture appeared, when comparing heart rate responses to conspecifics vocalisations. 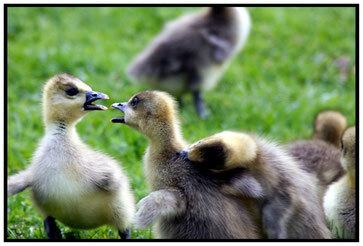 Heart rate was significantly higher if the pair-partner called, compared to non-associated geese. Overall, my results show living in social groups for greylag geese to be potentially energetically costly, but the individual investment is optimized by flexible modulation of the physiological stress response according to subsequent needs and requirements. The modulation of an individual’s physiological stress response by social events is further expected to affect the immune system and related to this parasite burden. A positive, secure social environment, i.e. high amount of affiliative social interactions, is expected to dampen an individuals’ stress response and consequently to decrease parasite burden. In contrast, high frequencies of aggressive encounters is expected to have a negative effect on an individuals’ immune system and increase parasite burden. 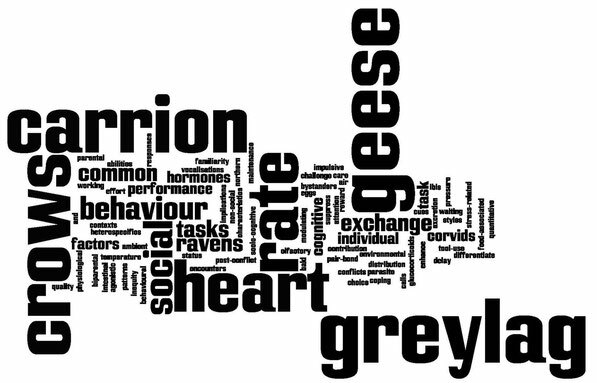 I am interested in how social factors affect parasite excretion patterns in greylag geese, Northern bald ibis and carrion crows. Further, I am interested in cooperative breeding and how stress hormone levels can explain within- and between-individual variation in helping effort. 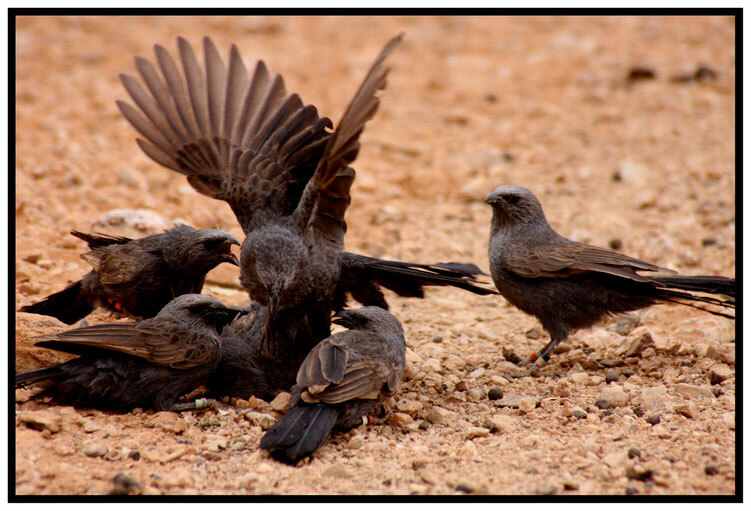 In cooperatively breeding Apostlebirds I collected repeated individual faecal samples in order to determine excreted glucocorticoid metabolites and recorded focal protocols of social (agonistic, affiliative) and helping (offspring provisioning and defence) behaviour.